Typically, lattice is made from wood or plastic and is used to create trellises for your roses, as skirting for decks, to edge flowerbeds and serve as garden fencing against animals. But lattice can be made from other materials besides wood and plastic. Those material alternatives can still have a lattice look and add elegance to your indoor decor or outdoor garden and they can require less maintenance -- and some are studier. Lattice alternatives include metal and alumawood. Purchase alumawood instead of wood for your next lattice. Alumawood is an alternative to wood that can cost the same as its natural counterpart but is less expensive when it comes to maintenance. Alumawood comes pre-painted and provides protection against termites and dry rot. It never has to be repainted and it will not warp. There are no splinters with alumawood lattice and it does not peel, flake, chip or fade, according to Rontimco, one manufacturer or this aluminum product that boasts the look of wood. In addition to alumawood, two additional alternatives for lattice material include sheet metal and roll formed metal. Roll formed metal is three dimensional and can be used for unique shaped projects, such as triangles or hexagons, according to Peak Fencing. Roll formed steel metal can be used for lattice decor atop your landscape fence as well as carport gables and other outdoor uses. Sheet metal lattice can be made to look like real lattice but you need reinforcing ribs if you attempt too large a size of lattice made from sheet metal. Put up vinyl lattice in interior areas that are not at risk for much wear and tear. 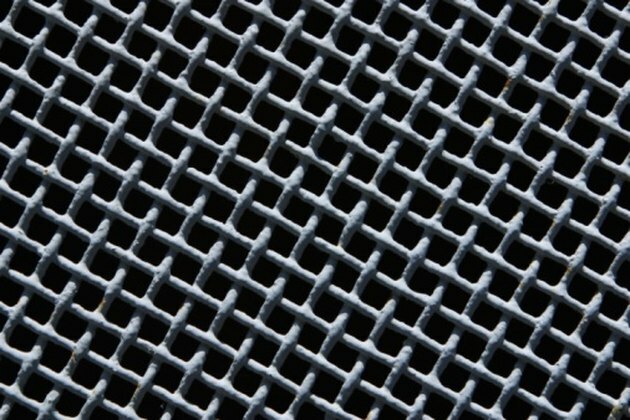 Vinyl lattice designs are more intricate and detailed than other lattice materials. The vinyl lattice panels can be placed inside wood frames as swinging doors. You can use lattice made from vinyl material to decorate your home windows, giving them an exotic look. You can also use them outdoors for your arbor if they are made from PVC material and are corrosion and weather resistant. Choose lattice material based upon the location you plan to use it -- indoors or outdoors -- and the type of weather and use it will encounter. Consider how much maintenance time and financial cost you are willing to bear in order to keep your lattice in good shape, too.